Lucky me! 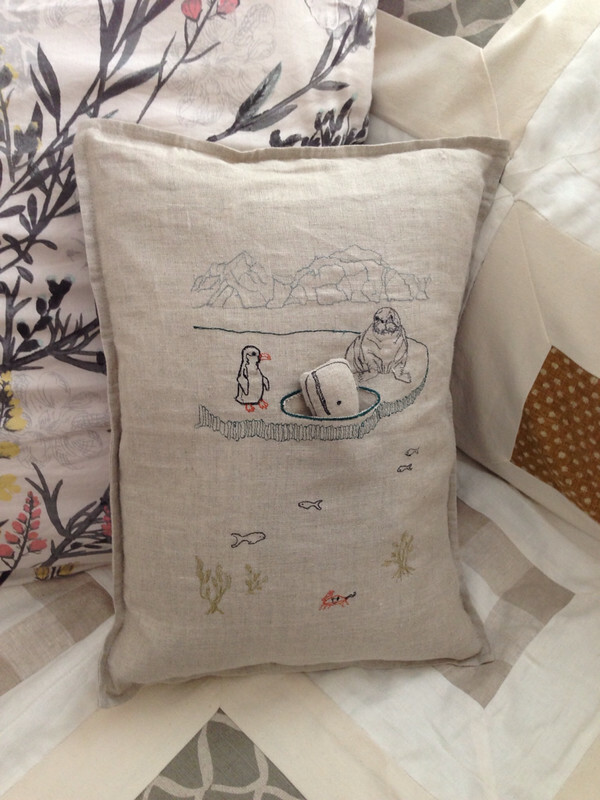 My very perceptive mum gave us our very own Coral & Tusk Cushion! She did some excellent detective work when we were last in Moss Vale visiting the lovely Made by Others store. Apparently I picked this guy up in the store and my mum took note. It's looking lovely on our upstairs couch. A repository of memories, moments, makings and musings. My name is Emma. I’m a Sydney-based textile designer, maker, teacher & researcher. Please be mindful if you’d like to replicate or use my images - jot an email to me if you’d like to do so. This is a blog that follows the “slow design” philosophy where updates are occassional but thoughtful. You might soon realise that I don't actually twitter all that much... but if that's what you're after please go ahead and join up! Learn to Make Paper Flowers! Love these golden mirrors in the hallway - unusual and fun.